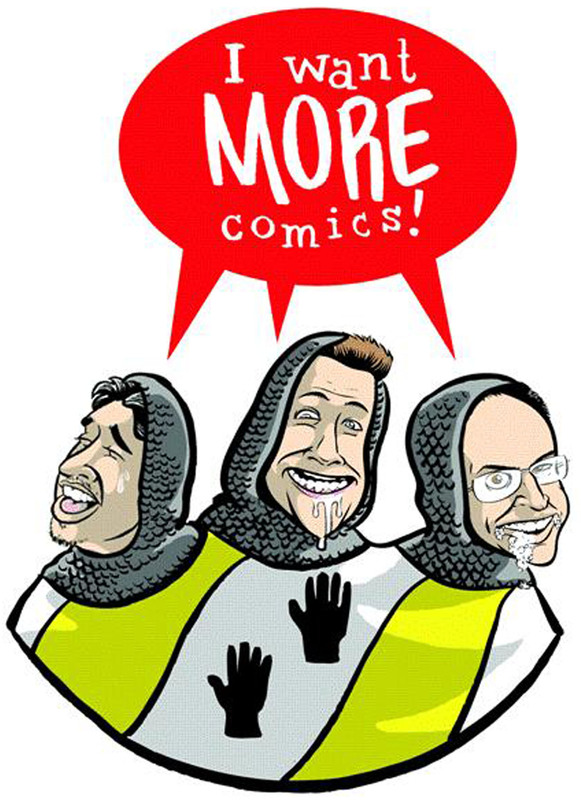 Hello and welcome to episode #13 of the I Want More Comics Podcast. In this episode it is all about San Diego Comic Con. In the News segment we discuss the passing of Jack Davis. In Picks of the Week we talk about Black Hammer #1 by Jeff Lemire and Dean Ormston (Dark Horse), Justice League #1 by Bryan Hitch and Tony Daniels (DC), and Scooby Apocalypse #3 by J.M. DeMatteis and Keith Giffen with art by Howard Porter (DC). In Spinning the Racks we talk San Diego Comic Con news and Richie fills us in at his time out at the con. Join us next week for more comic goodness! Blue Sky Black Death & Nacho Picasso - "Marvel"